Quite often we need to save addresses in the database, and we want them to be accurate. Probably, the best way to ensure it is to provide customers with input field where they choose the address from auto-completed values as they type. 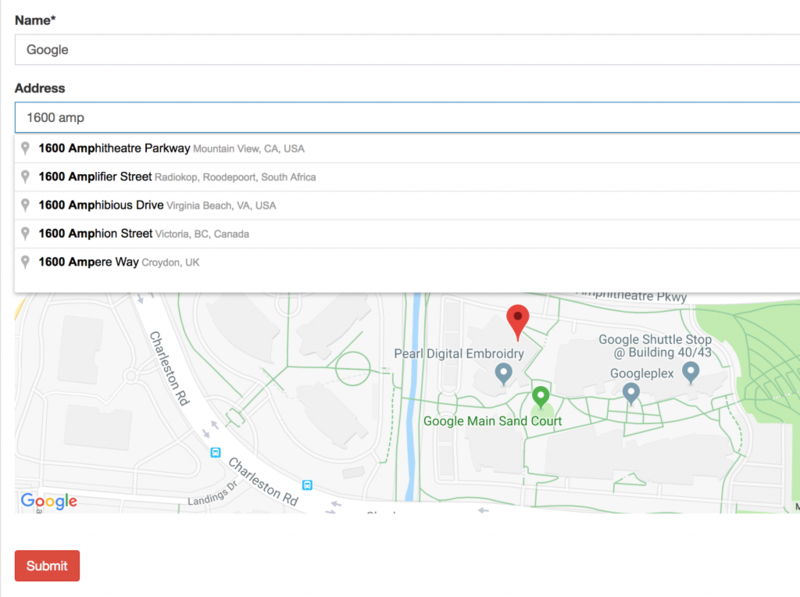 This article will show you how to achieve it in Laravel, let’s build a “location picker” with Google Maps API. As you can see, there are THREE columns, not one. Well, one for the actual address string and two for the geographical coordinates. This is probably the step that most tutorials will be skipping, because it’s not about the code. It’s about access to Google Maps API. To use it, you need to create an application in Google Developer Console and enable a bunch of APIs related to Maps. Not only that, in June 2018 Google changed Maps API usage and pricing. 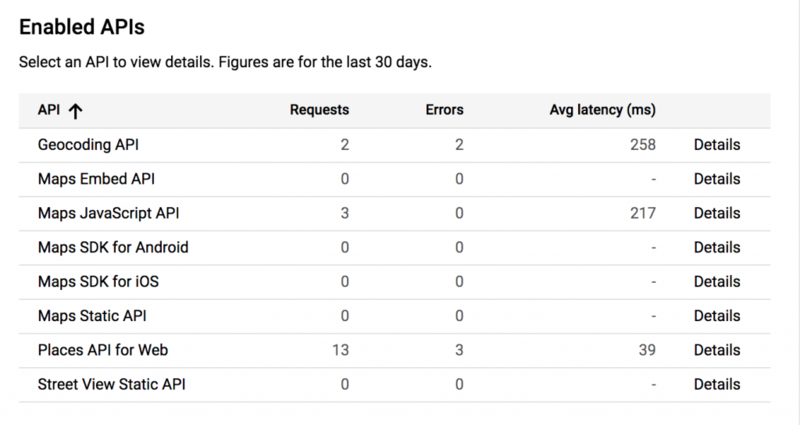 Basically, you can’t use Google API without enabling billing in Google Developer Console. In other words, you need to put your credit card there. 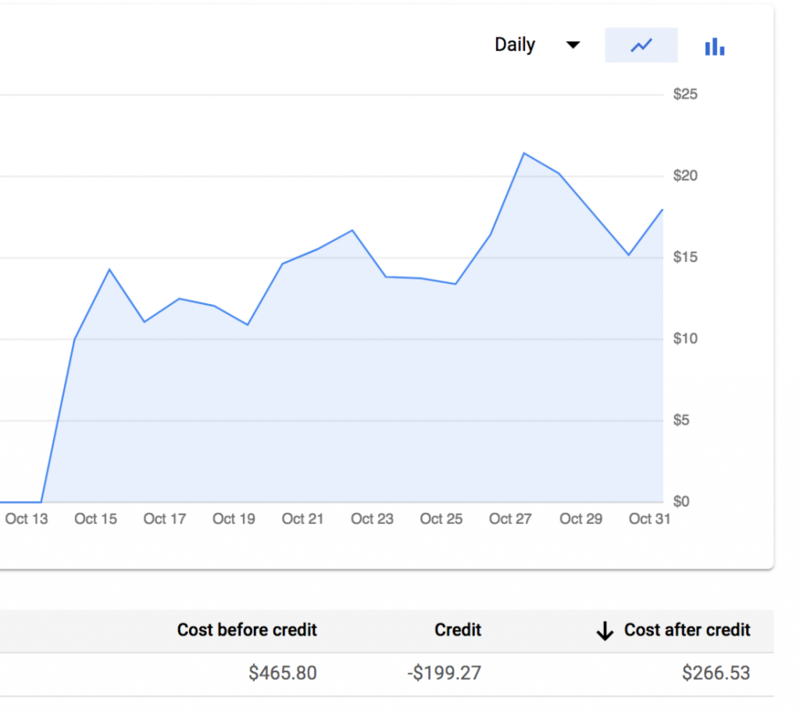 At this moment of writing (January 2019), there’s $200 per month of free credit, but as soon as you reach it, the price is pretty heavy. Here’s a graph from one of my client’s project – we reached free credit limit on 13th of the month, and from there it only depends on how many visitors you have who open a page with the map. Now, if you’re ready to proceed – you need to get Google Maps API key, and this is the page to start. So you need to create an Application in Google Console, and enable some APIs. To achieve the example in this article, you need three APIs, here’s the list from my dashboard. Warning again: As I mentioned, be extremely careful and not put that anywhere in the repository, cause you may get a bill for someone else’s project. Or, better yet, restrict your API key by domain or some other method. Now, we are ready to actually USE those maps! As I mentioned before, three fields here and one map container to show. Remember we added our API key to .env file? Here’s the place we use it. Notice: For this to work, in our main Blade layout file we need to have @yield(‘scripts’) block. Finally, we get to our public/js/mapInput.js where all the “magic” happens. This is the full code. Is there a google maps API alternative which is free? How about some tutorial for something from that list? I usually write tutorials only about tools I use myself, so in this case I don’t use any of the list, I stayed with Google Maps. I installed a form with a input autocomplete with this tutorial. It’s a good work thx. Just a probleme : this JS file desactive the enter button in my form. I can’t use enter for submit form and i can’t use it inside textarea. Did you have this problem ? Hello, I am facing a problem, the first time I ran it it ran fine but after that I keep getting 2 errors on console first one is: Initialize is not a function… second one: fieldKey is not defined. I did some research and found out it has something to do with async, but I am using callback as you guided above, can you please help me out on this. Go to quickadminpanel.com click TRY NOW on top, and then generate a CRUD with adding a field with field type Location. Then download the code and you will have working example.